Do you live in some of the coldest states or places on the planet? If so, then you are quite familiar with snow. You know, the powdery cold stuff that gave us the term “White Christmas.” Yeah, that stuff! Well, it is fun to play with, fun to look at while sipping a hot tea, and fun to watch is fall from the sky. But, you know what we have discovered is not fun about it? Shoveling it! We know of plenty of individuals that do not particularly enjoy shoveling snow. It is a hard, boring, and tedious task that without it, individuals would not be able to get to work. With that said, we wanted to hopefully make people’s life a bit easier by giving them the top 10 best snow shovels they can get today. As we looked for the best snow shovels, we realized that there were many different varieties, and so, we had to narrow it down. Now, what we did find is that many snow shovels are built the same but from different materials. Therefore, the selection you are about to see is the top ten best snow shovels an individual can get today. We hope you enjoy snow shovel number one! As the first shovel on this list, we are eager and excited to share with our readers one of the best shovel construction designs that they can buy in the industry. Intended so virtually anybody can use it, this shovel is lightweight and made to last. With that said, to our friends that live in snowy weather and need a good shovel. 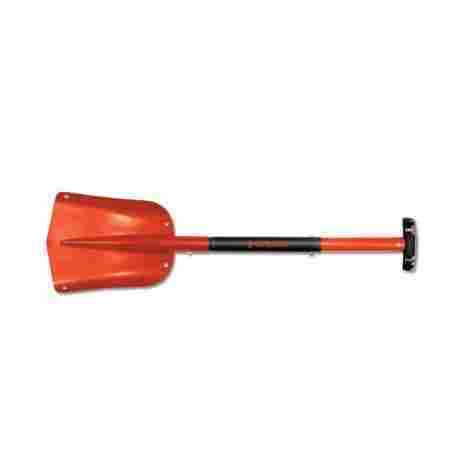 Here is the AAA 4004 Aluminum Sports Utility Shovel. Let’s talk about two important points about this quality shovel. Before we made this list when we thought of a shovel we thought of those bulky steel and wood shovels that weighed thirty pounds. We had no idea that shovels could be made and designed for a lightweight Purpose. What is most shocking is the actual weight of this shovel, this shovel weighs 1.3 pounds so almost anybody can use it, even kids and teenagers. With that said, the reason it weighs so little so due to a high-quality aluminium design and construction. When it comes to a shovel, there are many people that need one or have the wrong one because, frankly, they are not well informed or know that there is a variety out there. 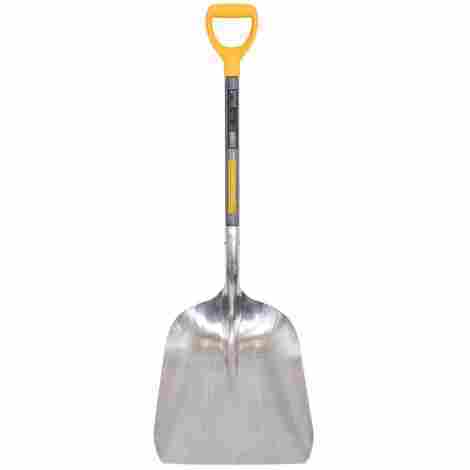 Well, this one is part of heat variety and ideal for all individuals that want a portable compact shovel. If you need to take your shovel with you anywhere, this shovel is perfect for car storage and can be taken apart into three different sections. It is considered a 3-piece shovel where all parts fit together and are easily dissembled. When it comes to this shovel, we can say that it is priced accordingly to the value. Considering that it has over 1k 4.5+ reviews, we think it is one of the best for the price. Other than that, the shovel actually can be purchased in three different color options. It is priced according to other market shovels and users will love the high-quality design and material of the shovel. Quality shovel made from quality materials. Intended for light to medium use. Anyone can use it due to the lightweight design. Comes in blue, red and yellow so it can easily be spotted. Great accessory or a car or truck. Users have mentioned it is only for light snow use not medium snow use. This next shovel may be what people think about when they think of a modern shovel. 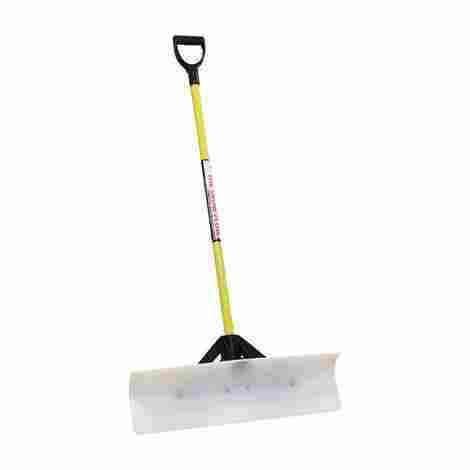 This shovel is known as a “snow pusher” shovel due to the flat and wide blade design. With that said, let’s talk about the Garant NPP26KDU Nordic 26-Inch shovel and what users can expect from this quality shovel. Here are two points to take into consideration. The blade of a shovel is known as one of the most important parts. Frankly, without a proper blade, an individual may not be able to shovel properly. With that, this one is different than the last shovel because it is meant for the easy pickup and push of snow. With that, the blade is 26-inches wide and allows individuals to easily push snow from one spot to another. Now, the material of the blade, Polyethylene, is designed to withstand the test of time and be strong enough to hold a couple pounds of snow many times over. One of the important parts of a shovel is the handle and the way that an individual can hold it. With that said, this shovel offers a quality grip design that users will appreciate. With that said, the grip has a half circle style design that allows users to hold it effectively without worry that the handle may fall off or slip off. As far as cost and value, this shovel comes in many different variations and sizes. An individual can purchase a 26-inch or an 18-inch shovel for their driveway or snow pushing needs. With that said, the price of the shovel will shift according to what an individual purchase. Now, what we can say is that the quality of the shovel is superb and users highly tout it. 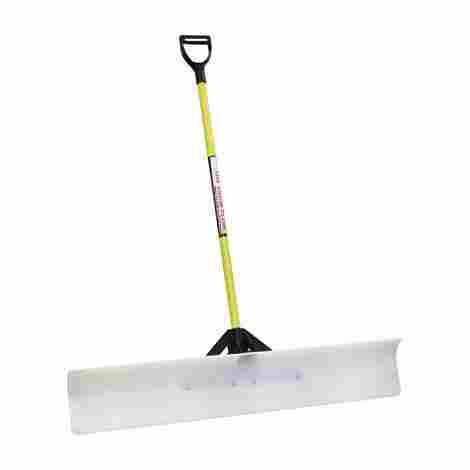 With 4.5+ stars, we recommend this shovel as a quality snow pushing shovel. A trusted brand with years of creating shovels. Many different shovel sizes to choose from. Great quality grip and handle. Can easily collect and push snow. This next shovel design is unlike anything we have seen before. At first glance, it looks like two shovel handles in one, but we can guarantee there is a purpose behind the unusual design of this next shovel. Let’s talk about the Snow Joe Shovelution SJ-SHVL01 and what users can expect from this quality shovel. Here are two important points users should take into consideration about this quality shovel. 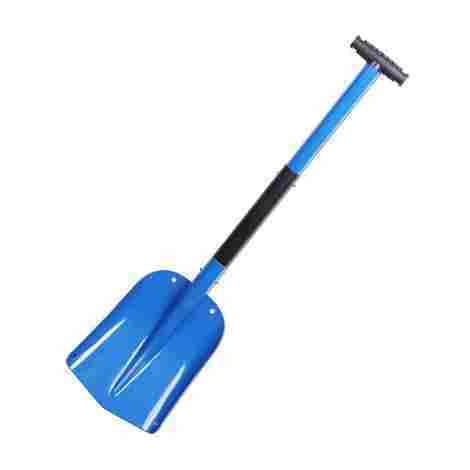 The design of this particular shovel has gone rigorous testing and at first look, it looks kind of odd. However, it is the design quality of this shovel that makes it one of the best. In fact, the design includes two areas of grip to give lifting leverage to the lower handler. With that, users can lift more snow with ease and then fling it off the handle quickly. 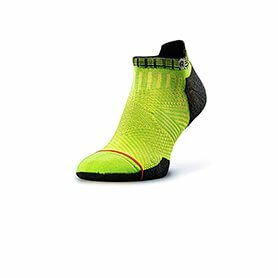 This design element is more modern and allows users to lift more snow quickly without strain on the back or other muscles. As we said, one of the most important aspects of a shovel is the handle. With that said, this manufacturer has created a comfortable ergonomic D-ring handle design that allows users a better and more comfortable grip. With that in mind, the comfortable grip handle is in both the upper and lower shovel handles, allowing individuals to easily grip with ease without worry of any blisters or discomfort to the hand. As we talk about cost and value for this particular shovel, users should keep in mind that the design of this shovel is more modern and will raise the price a bit. In fact, this shovel is about double the last shovel on the list. However, it is the material, the design quality, and the technology that makes this shovel one of the best and worth it for any individual that wants to shovel snow with ease. With that said, we believe it is one of the best. Quality shovel with a unique design that users will appreciate. The 18-inch shovel blade is made from an aluminum design that is heavy duty and can handle wear and tear. The strain-reducing handle is great quality. Give lifting leverage to the handle on the lower part and never strain your back. This shovel can be odd to store or put in a car. It’s time to talk about another shovel that is pretty regular, easy to use, and highly touted. This next shovel resembles another old-time shovel with a more urban material construction. Let’s talk about the Suncast SC2700 20-Inch Shovel and what users can expect from this quality shovel. Here are two important notes to take into consideration if you want this shovel. As we have talked about before, the blade of a shovel is one of the most important parts. Without a proper blade, an individual needed to shovel snow can suffer a lot of aches, pains, and stress. With that said, one of the most stressful elements of shoveling snow is when the snow gets stuck to the shovel. Therefore, this manufacturer created the blade from a non-stick graphite material, so no snow ever gets stuck to the blade again, making the shoveling process a lot easier for the user. It seems that only companies that are really focused on quality and strength use steel materials nowadays. With that said, this brand has stayed true to the use of steel on a shovel by making the handle grip out of a comfort grip steel material. With that, the wear strip is also made from a galvanized steel material. This gives users an essence of comfort and support as they tackle on any snowing job. As we take cost and value into consideration, one aspect that a user should take into consideration is if there are shipping and handling prices. For example, this brand has the price set a bit lower, however, with shipping and handling the price of the shovel can easily skyrocket to about the same price as the last quality shovel on this list. Therefore, it is an important aspect to look out for. Either way, for the price, it is a quality daily shovel that users will appreciate having in the case of emergencies. Quality shovel with a comfort grip design. The non-stick blade allows users to shovel with ease. The blade is wide enough to pick up and push a lot of snow. The blade is designed to last. The steel material makes it slightly more heavy but stronger than other shovels. Can get pricey with shipping and handling. As we started our research, we were quite surprised to come across this next shovel. This shovel can be quiet and a stress-reliever for the right individual and although it looks odd and more of a gimmick, it may come in handy. There is a reason it has 4.5+ reviews. We will let you be the judge of whether or not this shovel is worth it. Let’s talk about The Snowcaster 30SNC 36 Inch Shovel and what users can expect from this quality shovel. This shovel has two wheels in the back because the intention is that an individual will roll the snow out of the way. In fact, the shovel is meant for people with back problems or people that want to reduce fatigue or weight on the back when shoveling. If you have been shoveling snow for years, then this may be the best shovel design for you. With two wheels on the back, an individual is able to easily move snow out of the way. Now, this shovel has to be assembled by the individual. With that said, it only takes about 10 minutes to assemble. However, an individual has to do it properly because the blade is bi-directional and created a wind-rowing design when in the snow. Meaning, the blade can move left and right a bit as an individual uses it so they can easily move snow out of the way. With that, the blade is also designed from a high-quality material that ensures it will last for many winters to come. As far as cost and value and upon further research, many individuals are extremely happy with this bi-direction wheeled snow pusher. The reason being is that it makes pushing snow a whole lot easier than dragging a shovel, picking up snow, and tossing it to the side. With this shovel, picking up snow and pushing it is made easy. With that in mind, what can a person expect to pay for this shovel? Well, considering the innovative design, this shovel can run for up to 4x’s a regular shovel price. However, the ease of use and no back pain is worth it. Quality modern shovel design that is easy to use. Users will appreciate the quality design of this shovel. Great shovel that makes shoveling snow easier. Shovel snow in half the time. Easy assembly in 10 minutes. Proven commercially and tested by many individuals. If an individual is not careful assembly can be a hassle. We think that when it comes to the name of this next snow shovel, it could have been the shovel that Homer Simpson was inspired to call his truck, “Mr. Plow.” With that said, we want to show our readers one of the best-designed shovels in the industry, made from premium construction materials so it can withstand the test of time, this is The Snowplow 50548. Here are two important points to take into consideration. This manufacturer clearly understands the importance of having a quality shovel and plow that can withstand the test of time. More so, one aspect that a couple manufacturers overlook is that snow is heavy and the wrong design can easily break a shovel. Well, this shovel’s construction is known to be premium an designed as one of the best. This shovel is made with a bolted together construction design. With that, if a part does break or an individual needs help, they can contact the manufacturer and all the parts are replaceable. As we have said before, one of the most important aspects of a snow shovel is the material in which the handle is made. This handle, in fact, is made from a fiberglass handle designed like a D-Style Grip for better use and easy use. With that, the fiberglass handle has an ergonomic design that users will appreciate and makes it easy to use. As we take cost and value into consideration, we think that this may be one of the best shovels as far as construction is concerned because the shovel includes areas that are bolted together. Users will appreciate the quality and design of the shovel with a 48” wide poly blade that can easily carry a lot of snow. With that said, one of the biggest benefits of this shovel is the design quality and a manufacturing process that goes through rigorous testing. Wide poly blade handle that is easy to use and very effective. Patented tuff brace design system. All parts of this snow shovel are replaceable. The fiberglass handle is easy to use and effective. The D Style Grip is great quality. The support is primarily in the center, so a lot of heavy snow may break the sides on the shovel. It’s time to talk about another quality shovel that resembles much of the design quality of the last one. However, it has one particularly different design element. Let’s talk about the J&M Enterprises TV206971 Snowplow and what users can expect from this quality snow shovel. Here are two important points to take into consideration. One of the most important aspects of a shovel is the grip. Without a proper grip, a person can spend hours shoveling snow and hurt his or herself. With that said, this shovel has a great grip design that includes a D-Style design for better and more effective use. With that said, the materials of the handle are durable and can withstand lots of wear and tear. Also, individuals feel secure that the handle is attached very well to the handle. Now, what makes this snow plow quite different than the last one is the size. Although they virtually look the same, the last one is 48” which raises the price by a lot, and this one is only 30”. With that, users need to ask themselves important questions such as, do they really need 48” or is 30” okay, and will this smaller size be more effective. With that, these questions are very important towards picking out the right shovel. As we talk about cost and value, we are eager to share that this shovel is priced well below the last one. However, it is above the competition because of the quality of the shovel. With a really great properly designed blade, a nice high-quality grip, and a strong construction build. 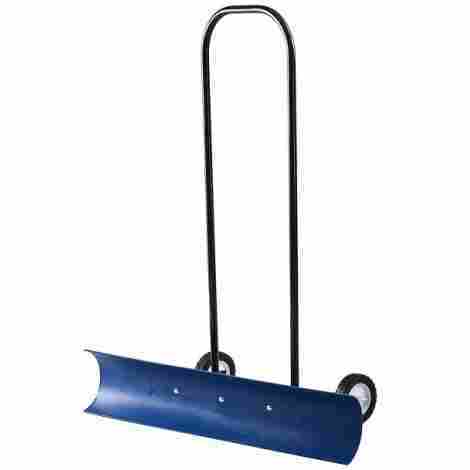 Users will appreciate the quality of this snow shovel compared to many other ones in the industry. The grip is ideal thanks to the D-Style design. This product is designed in the United States. Quality product and trusted brand. The size may be a bit small depending on your needs. We are eager to bring another design style that is much like the first one on this list. This next high-quality shovel resembles the very first shovel on the list thanks to a minimal design that is compact and easy to use. 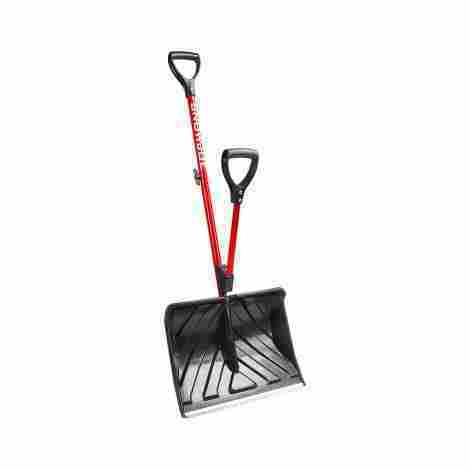 As a great driveway shovel, this is one of the most affordable and easy to use shovels that offer great design qualities with a minimal and compact style. One of the biggest benefits of this shovel is that it is not super heavy duty. Like we said, it is meant for lightweight snow shoveling such as a driveway or a walkway. With that said, the construction of this shovel is from an aluminum material that is lightweight, easy to use, and does not chip quickly. With that, it is nowhere near as heavy as an actual shovel. This material allows teenagers and even kids to help the big ones of the family shovel away, weighing at only 1.3 pounds. Have you ever used a shovel to realize that the handle had no grip or was not sized properly? With that, this manufacture created a handle design that allows individuals to elongate the handle from 25 inches to 32 inches. More so, the design is perfect for individuals that want the flexibility of the handle adjustment depending on how much snow they plan to shovel or how much there is in general. As we take cost and value into consideration, we cannot help but say that this design happens to be one of the best for light use. The design is portable, collapses into threes and is very easy to use. With that, this manufacturer focused on quality and created a great handle design and aluminum construction that can withstand the test of time. With that said, users will appreciate the quality of the handle and the quality of the construction design. High-quality construction design that is easy to use. Easy to pack, store and travel with. Lightweight design that users appreciate. Ideal for teens and older kids. The handle can be adjusted. Minimal use only. Not for heavy snow. 9. The AMES Companies Inc. This may just be the original shovel design. With a quality scoop design, this next shovel is better for dirt, mud, and debris than snow. The large scooper is ideal for emergency situations or backyard projects. With that said, let’s look at The Ames Companies Inc. True Temper #12 shovel and what users can expect from this high-quality shovel. Here are two important points. Now, as we have said the blade part of a shovel is the most important aspect. However, who knew that shovel blades came with so many designs and materials? With that, this blade design is better intended for dirt and backyard projects than anything else. It is a blade from aluminum that includes a 15-inch wide design and an 8-inch deep scoop holder. This scoop holder allows individuals to scoop more dirt easily without it falling out. Now, this is new to the list! When we researched we were surprised by how many companies no longer produce a wooden handle design. The wooden handle design is what authentic shovels were made from. With that, this brand is still true to the tradition by including a wooden handle design that allows for the easy transfer of any material. More so, the handle is high quality, very strong, and can easily withstand the test of time. Users will appreciate the stability and grip of each reach thanks to the wood handle. Users should not be impressed by the reasonable price of this shovel. This shovel is quite simple, not too many bells and whistles, and is an effective good quality shovel. With that, the price resembles many simpler shovels on the list and users that want to use it for temporary use will appreciate the design. As a backyard shovel for simple uses, this one is really great. 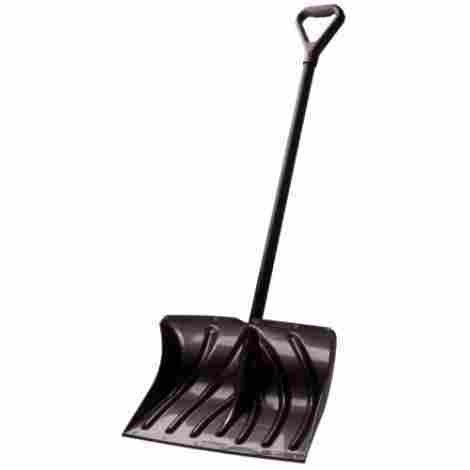 Good quality shovel for lightweight snow use. Good quality shovel for dirt, mud, and debris. Aluminum design is great for picking up dirt and more. The durable material is also lightweight. The -grip handle is secure. The wood handle provides maximum stability. This shovel is not intended for heavy snow usage. As the last shovel on this list, we are particularly excited to share this great quality shovel. Although we have mentioned that a couple of the smaller shovels on the list are great for kids and tends, this one is particularly created for kids ages 2 to 10. However, this shovel should be looked at as a kid-friendly and kid sane non-metal winter toy. With that said, let’s talk about the EMSCO Group 34-Inch Kids Snow Shovel. Here are two important points about this shovel. Of course, if a child is going to be playing with a shovel in the snow, the shovel has to be made from a lightweight design. With that said, this shovel is lightweight and only weighs about one pound, making it ideal for children. More so, it is a non-metal composite that is safe enough for kids but also very durable so it will not break easily. The grip is designed to fit smaller hands and kids can feel like part of the solution as they help their parents shovel snow. We talked about this previously, but the wrong shovel material can cause snow to stick. With that said, this manufacturer has made the shovel with a non-stick design that allows individuals to easily use the shovel. More so, the shovel is designed with a plastic material that resists even the stickiest of snow. Users and kids will thoroughly enjoy being able to shovel a bit of snow or build a snowman with this shovel. As we talk about cost and value, we believe that the quality of this shovel is superb. As one of the best shovels in the industry for kids, it is highly worth the cost and kids will love being able to be part of the crowd. More so, parents trust the shovel materials and feel at ease knowing that the kid is enjoying themselves, but safely. More so, the shovel has a great grip and does not include small parts. Lastly, the shovel comes in two colors, pink and red, so a parent can pick the best one for their kid. Two sizes to choose from, toddler and toy. Parents will appreciate the high-quality design. Non-stick shovel design that makes plowing snow easy. Suitable for kids 2 to 10 years old. Since it is made of plastic, if a child reaches for heavy snow, it may break. Well, now that we have shared with you the top ten snow shovels an individual can buy today, will you be afraid to tackle the snow? Of course not! These shovels are all designed with durability and longevity in mind. With that, we can say that we took our time with this list to ensure that individuals were getting the best snow shovels. If winter is coming, then tell it to go back home because you are fully prepared to take out the shovel and create your own spring. With this in mind, we can say that all of these shovels are high quality and intended for ease of use. Whether you opt in for a quality snow shovel that is intended for scooping snow or a snow shovel that is intended to push snow. These are all quality snow shovels that will help make life a little easier. With that in mind, why not get one for the little ones of the family too? They can help shovel snow! When it comes to how we pick out the best quality products, our intention is to always guide our readers to the best possible quality products in that specific field. With that, we go through rigorous tests and comparisons to find the top ten of every possible genre. The real question is, how do we do this? Well, as we uncover new products to share with our readers our goal is to determine what are the different criteria that make that item special or worth an individual’s consideration. Considering that not every individual has the time to research, read, and test out products, we do it for you! In this case, we wanted to share the criteria for picking out and evaluating the best snow shovels. Now, like any industry, shovels come in all sizes, styles, colors, and have different purposes. With that, we wanted to find the top 10 for our readers so they would not have to do the research. Therefore, we compiled this list. Now, what were the top criteria that we looked for? Here they are, the top 10 criteria and below, individuals will see we are also sharing the most asked questions when it came to quality snow shovels. Let’s begin with the first and what may be the most important criteria of all, the quality of the shovel. This was incredibly important to us because overall, this sums up the overall appearance and benefit of the snow shovel. We determine this by looking at different aspects of the shovel. With that said, quality is overall what an individual will get out of the snow shovel. No individual wants to be out all day shoveling snow. Therefore, a snow shovel is meant to make the process much easier. However, if the shovel does not have an anti-stick coating, shoveling snow is made much harder. These were all aspects we considered detrimentally important towards the quality of the shovel. With that in mind, we are lead to other criteria which also adds to the quality of the shovel and if manufactured right, ensures an individual never gets hurt, the quality of the handle or the grip. As we started coming across the different handles and grip styles that companies were designing, we realized they are all pretty universal. For example, a quality grip means that an individual can sweat and the grip of the shovel will not slip. More so, many brands designed the handle with a D-style design that meant an individual could get the better grip. On top of that, as we research we realized some of the handles were made out of rubber or out of a non-slip coating that ensured individuals would get the maximum grip while shoveling. With that, we realized that many users want a good grip that ensures hand safety. As we discussed, the worst thing is to be shoveling snow and get a blister or twist your hand, a good grip ensures that does not happen. This is why we included it as a criterion. Now, this next element of a shovel may be considered one of the most important. In fact, the reason a person buys a shovel is for the usefulness of the blade. With that, the blade needs to be made from powerful materials so you can use it successfully. Now, one thing we knew thanks to our many friends that live in the cold winter states is that there are many different styles and sizes of the blade. For example, there are rectangle blades that are as wide as 48 inches. These blades are intended to push or pick up as much snow as possible. But, there are other blades such as regular V-shaped blades that individuals have learned to trust over the years. In any case, we knew that the blades of the snow shovels we shared had to be of the best quality. To figure this out we had to take many different snow shovels into consideration. What we found most unique is that some brands even include a non-stick coating on the blade so snow doesn’t stick easily to the blade. This we considered not only a great time-saving design but a beneficial feature and quality overall. As we have discussed many times before, cost and value are one of the most important criteria for us. The reason being is that the last thing we want for our users is for them to break the bank buying a shovel. With that, we did realize that the most an individual spends – the better the quality. However, our goal is to always bring a well-rounded list of products that are all great quality at different ranges. Now, since this list is dedicated for snow shovels, we also looked to see if the shovels had any specific qualities that made them great for other purposes. For example, when thinking about this criterion in specific, we had to keep in mind that the purpose of a snow shovel is to shovel snow! However, if an individual wants to use the shovel for another purpose, such as digging in the backyard or picking up rocks, would it be possible? These and many other important questions were taken into consideration when developing this list. With that in mind, many shovels have different purposes and we did find a couple that was solely dedicated to shoveling snow. For example, the wide 48” shovels known as ‘pusher shovels’ are primarily for snow. Another criterion that we consider extremely important when picking out the best shovels was the design. For example, the shovel design is crucial because without the right design an individual may spend hours shoveling. With that, there are many different technology designs, coating, and materials that brands have used to expand their shovel appeal. One thing is for certain! The design of the shovel is meant to help individuals and all different aspects of the shovel such as the handle, grip, shaft, and blade add-ons to the shovel design. What we can say, is that we looked at many different designs and these are the top 10. Whether you want an urban design or traditional snow shovel design with a metal blade, this list has it. We’ve realized through our many articles that this may be one of the most important aspects that individuals look for in any product. With that, we had to include it here. No individual wants to purchase a product that will break within hours or days of use. This becomes a waste of time, money, and effort. Most importantly, this becomes a bad rep for the brand. With that, durability is one of the most important criteria for consumers and we can see why. Therefore, we took into heavy consideration the longevity of these shovels and the fact that many of these shovel users live in cold winter states where they will be needing them for almost half the year. Now, this next aspect was a criterion that at first we did not see as that important, but changed our mind after further consideration. Shovels range in size and as we did our research, we realized that certain shovels are designed for kids or teenagers and certain shovels are designed for adults. With that, we wanted to ensure that if parents are buying a shovel for their child to play in the snow, they would be getting the best product, as you can see in product #10. With that said, we want to move another important aspect we took into consideration when picking out the best shovels, frequently asked questions. Q: Does the shovel have a non-stick coating? A: As we did our research, we found out that this was one of the most common questions. With that, we took into consideration many different shovels and found that the coating of the shovel would only impact if it was non-stick or not. However, a non-stick shovel was about the same price, but the design, depending on the shovel is different. Many different metal blade shovels would not have a non-stick coating. Q: What is the shovel blade material? A: This was an extremely common question which resulted in many different answers. We found that the most common shovels were made of a mix of aluminum, plastic, and some were complete metal. With that, users should expect that the shovel blade material and design will impact the weight of the shovel drastically. Therefore, we wanted to include different shovel blade designs that ensured our readers were getting a good mix. With that in mind, plastic seemed to be the less desirable shovel because it broke or chipped more frequently than other shovel blade materials. Q: What is the handle made out of? A: This was another extremely important aspect when it came to picking out the best shovels. It seems that most of all shovels include a D-Grip design that allows individuals to have a better handle. With that said, some grips included a ribbed design to ensure maximum performance for the individual. Now, a shovel with no grip or a poorly made handle could cause a lot of discomfort and pain. Therefore, we wanted to ensure the best shovel handle designs when including them on the list. Q: Can the shovel be used in other areas? A: This was one of the most common questions because, in truth, no individual wants to buy multiple shovels. Therefore, we took into consideration the design of the shovel and whether or not it was good for other areas. 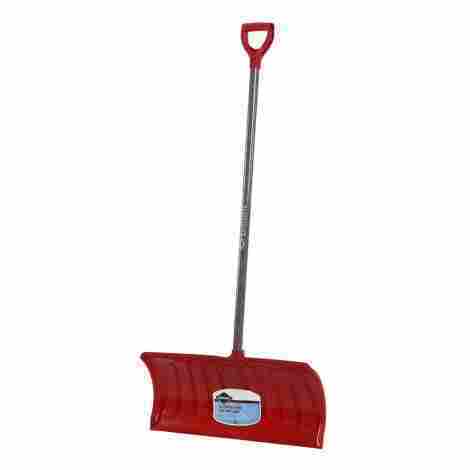 A standard snow shovel design is known as a ‘Pusher Shovel’. 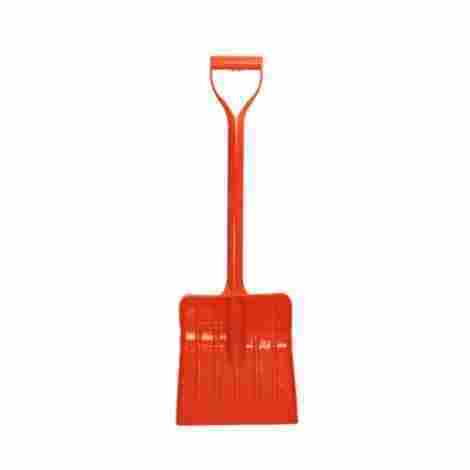 However, a common snow shovel design that can be used for other elements is the ‘Scoop Shovel’ design. With that said, we took into consideration the importance of having a blend of shovel designs, all intended for snow but could be used for other elements as well. Q: Is the shovel lightweight? A: This may be one of the most important and most asked questions that we came across. In fact, this question is something we talk about in almost every shovel. Now, what affects the shovels weight? The materials! Therefore, an individual should expect that if the material of the shovel is metal or wood it will be heavier than if it was aluminum or plastic. With that in mind, shovels that are lightweight may not hold as much snow or may warp, but lightweight shovels help the individual not get as tired as they normally would.